The Wonder Woman box I shared last week? I actually have a few in that style from Tupperware because it really is an awesome little box. 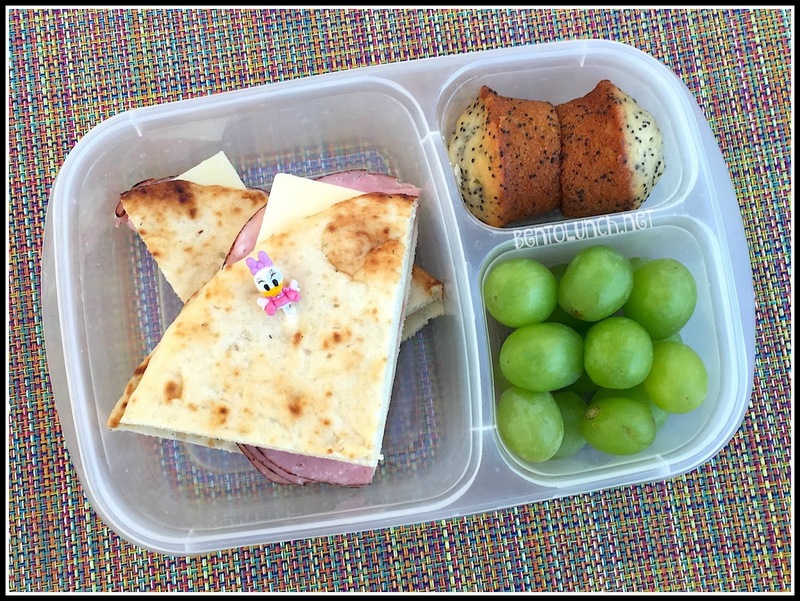 It also makes the great option for a homemade lunchable if you just add a few square silicone cups to make compartments. 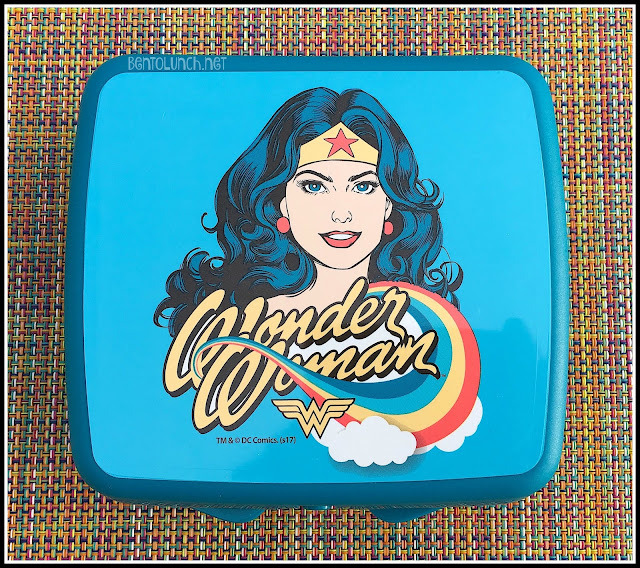 Awhile back, I saw someone post this absolutely adorable Wonder Woman lunch set on Facebook. Since I had to have it, I reached out to a friend of mine who sells Tupperware and she ordered it for me. The set itself came with two small round containers, a big tumbler, and this absolutely awesome sandwich box! 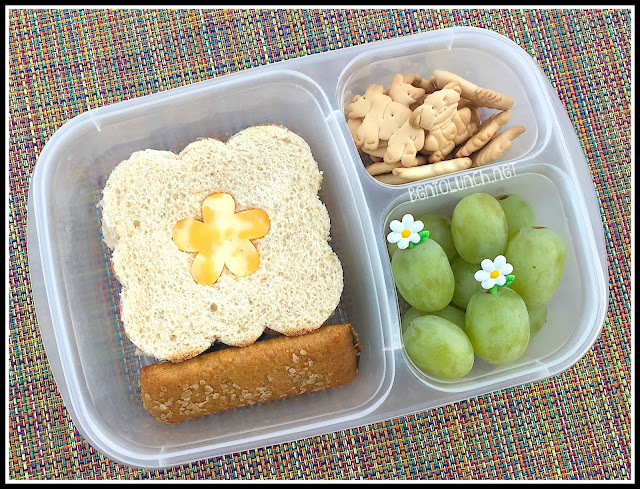 Keeping it simple sometimes is the best way to go, especially for busy mornings. Having the right tools to do this? A necessity in my book. 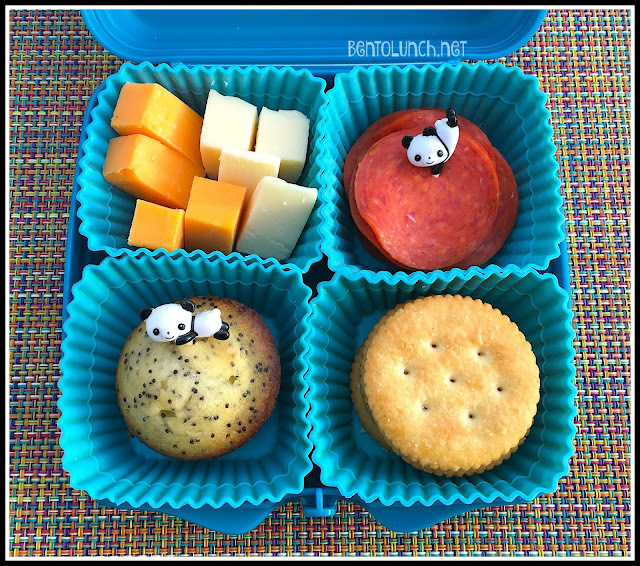 Sandwich cutters, a few cute food picks, and an extra 30 seconds livens up even a boring lunch. 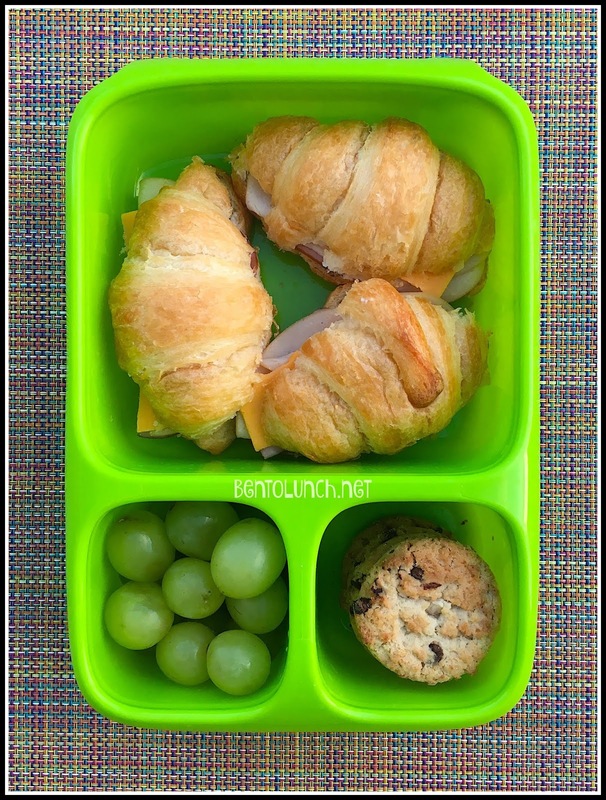 The girl requested one of her longtime favorite lunches the other day since I happened to actually have the ingredients in the house. 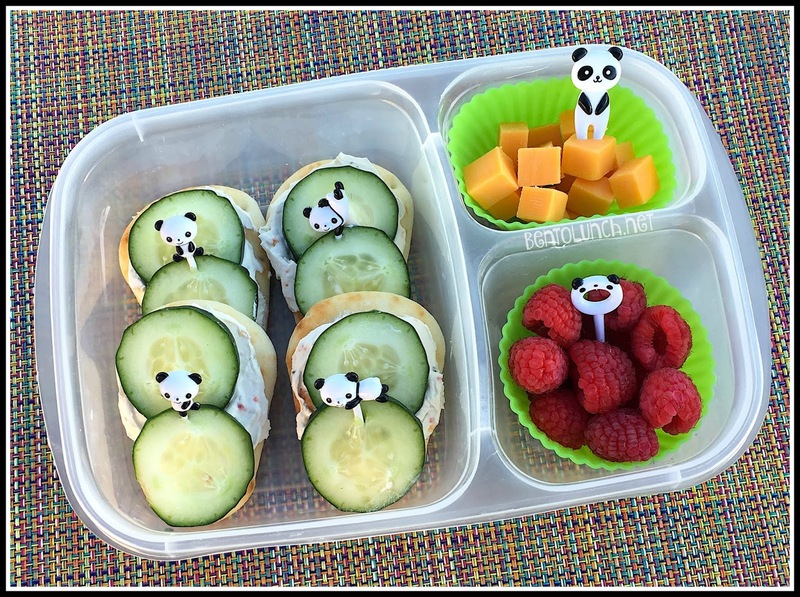 And since cucumber sandwiches aren't super colorful, we had to jazz it up with some panda decorations. We decided it's time to change things up a little. I happened to be at the grocery store a few days ago and they had garlic naan bread on sale. I usually buy these for homemade pizza crusts, but I thought they'd also make a great sandwich bread for a change of pace. As the boy is growing (we're talking an inch or so every couple of months right now), he's definitely needing a lot more food. I've hit the point where I am sending two lunchboxes most days--one for food and one for snacks. I'm also using my Goodbyn Hero box a lot more because it holds almost the most food out of everything I own, all in one box. It's been awhile since we've had a good salad lunch and the girl was requesting one. I generally have salad fixings, but I seemed to be lacking protein choices. 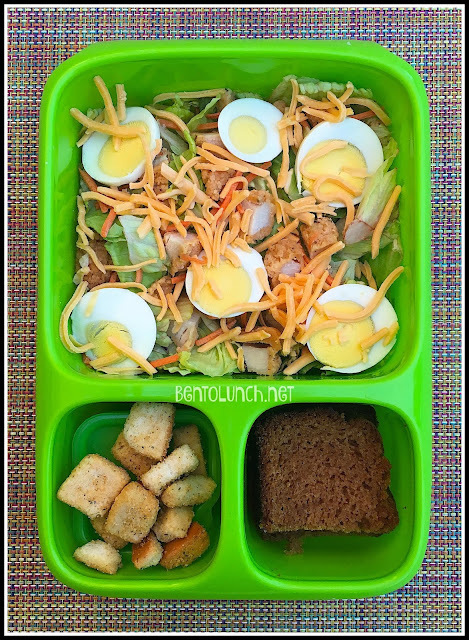 Since we had everything in the house, she had to have a yummy lunch salad.